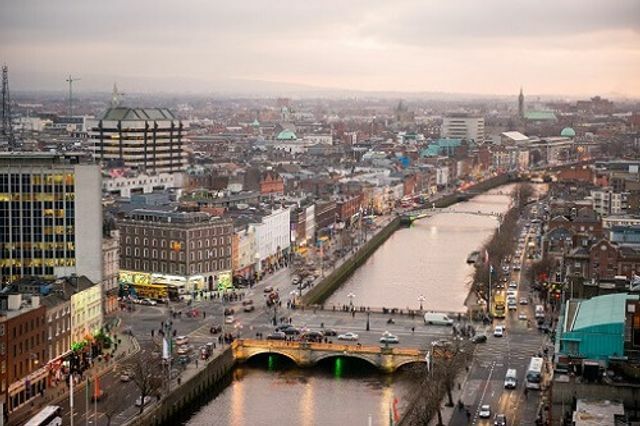 Senior government officials in Ireland have been complaining that the country has been the victim of a concerted effort to dissuade insurers from hopping across the Irish Sea to Dublin post-Brexit. European counterparts such as Belgium and Luxembourg have lauded the decisions of players such as Lloyd's, AIG and QBE to move Eastwards, although some believe they have succeeded only by attacking Ireland's attractiveness instead of promoting their own benefits. Competition for big insurers to open operations within an EU member state for 'passporting' was always going to create a bit of a tense atmosphere, but up until recently it appears to have been cordial. This has started to spill over. One thing the Central Bank of Ireland is going to have to tackle is the perception that it has a lack of experience, and talent, to create an environment for established players to carry on business as usual, and even flourish, within the EU; whether or not this concern is real or false. Many who feel these worries are unsubstantiated, especially as they are all bound by Solvency II requirements anyway, are now actively trying to curb this idea and re-frame the argument. It's likely we'll see a bit more of this mud-slinging over the coming months but with a number of insurers having already made their decision it could come too late. Ireland has attracted the likes of Standard Life and Legal and General, but the great boon to the Irish economy many thought would come landing at their doorstep following the invocation of article 50 will now do well to revise their estimation as to how big this impact will be. Cliff Taylor at Irish Times raises some interesting concerns that may be playing against Ireland. Not least the regulatory aspect but also the cost of relocation. Dublin is seeing a shortage of accommodation coupled with increased rent prices, and if the Belgian or Luxembourg government is preaching a 'softer' approach to the industry it's easy to see how their heads can be turned. The EU insurance watchdog (EIOPA) has said it's keeping a close eye on the implementation of regulations from member states competing for business too, fearing some of them are undercutting each other to attract big names, and undermining the stability of the regulatory environment across the region. Something Ireland would do well to keep out of and position themselves above. And if they play it well it could allay those fears that they aren't as well equipped as those on the mainland to promote strong business, if the likes of Brussels and Luxembourg become the subject of the EIOPAs spotlight. They may not be winning the first few rounds, but never write off the underdogs. “Speaking at a Financial Services Ireland event in Dublin on Thursday, Paul Ryan, head of the department’s international finance division, said feedback from financial industry sources has highlighted that some jurisdictions seeking to win Brexit business have resorted to highlighting negatives about moving to Ireland,” reported The Irish Times.